Top Reasons to Admit that We Love Fuller House! Whatever the critic reviews are, we should not have any hesitation in admitting that we love “Fuller House”! They’re like your extended family and particularly, everyone loves Uncle Jesse! But there are more reasons to love this favorite premium comedy. Here are some! Full House was an ultimate fun show especially because of the three small wonders – D.J., Stephanie and Michel (later joined by the extremely sweet twin sons of Uncle Jesse) and of course, the loving adults. Fuller House is successful in keeping on the charm of the old series. The show has been added with flashback scenes and lets us live those moments again. The new show has a balanced appearance of Danny Tanner, Uncle Jesse and Aunt Becky, and Joey. The basic theme that D.J. is now a mother of 3 sons and widowed is assisted by her childhood friend Kimmy, a mother of a daughter, who moves in with her makes you feel like watching a totally different show against something relying on the old story. 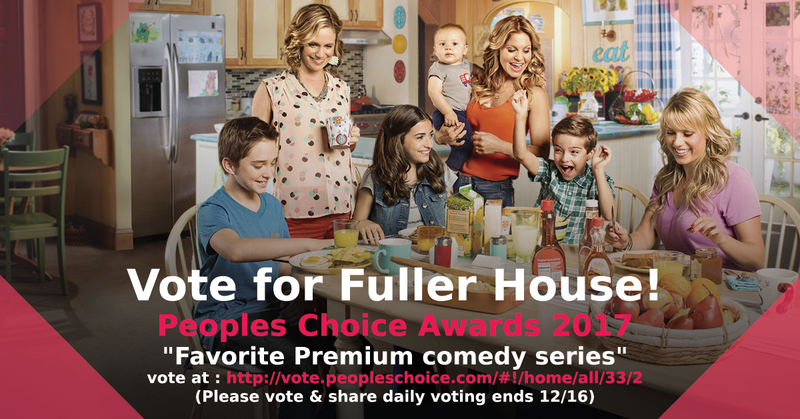 No wonder, Fuller House is a leading nominee for People’s Choice Awards 2017! The hot couple Uncle Jesse and Aunt Becky still looks hot, rather hotter, in Fuller House, and works as a strong reason why we love this show so much. Their comeback after three decades is as refreshing as before and proposes elements like true love, honesty and humor in a new way with their performance, without making us realize that those elements are age-old. Just like Full House, Fuller House is also full of heartwarming moments (critics may call it cheesy) that everyone loves, may even be secretly! At the bottom of our hearts, all of us love family values, attachment, and most importantly, being with each other, fighting with or loving. Fuller House has been successful in winning viewers’ hearts by promoting the family love.